The best nitric oxide supplements on the market can help you take your workouts to the next level. They work by increasing muscle pumps, vascularity and performance when working out. If you’re a serious lifter you definitely know this feeling, when your muscles get bigger as blood rushes into them while lifting weights. You know that when your biceps feel so tight like they could explode you just gave it your all and the bodybuilding gods will grant you sick gains as long as your diet is on point. However, some people have trouble getting those juicy pumps in all their workouts despite putting in hard work at the gym and keeping their diet on point. Which is stopping them from reaching their full potential on their muscle building journey. If that’s happening to you it might be time for you to look at increasing your Nitric Oxide levels. Turns out lifters are now using the best nitric oxide supplements to achieve skin tearing pumps while lifting weights. Nitric Oxide, is found in the human body and is a molecule that plays a role in blood vessel expansion and blood flow. There are tons of studies out there backing up the effectiveness of this molecule and the fact that by expanding the blood vessel and increasing blood flow through your body not only will your body recover faster after a workout, but also give you more of those juicy muscle pumps we all crave, which will help you build muscle faster. When you train arms, for example, that tight feeling you get in your bicep is actually blood rushing into the muscle to replenish it and provide it with energy. Bodybuilders love that feeling because they know that they are hitting the muscle hard and the body is responding by sending blood that way to help. The best Nitric Oxide supplements help facilitate this process so more blood can get there, faster. That means more intense pumps and improved nutrient delivery. Getting more blood to the muscles in between sets means your tired muscles will recover faster and you will be able to work harder on the next set. Since progressive overload is the cornerstone of bodybuilding, improved recovery means more weight lifted and for more reps, which in turns means more gains for you! Additionally, many people like to perform high intensity interval training cardio which puts a lot of stress on the body. With improved Nitric oxide levels in the body more oxygen and blood will get pumped around the body. That means better performance and more calories burned in a shorter period of time which is essential if you are trying to avoid going catabolic from working out too long. 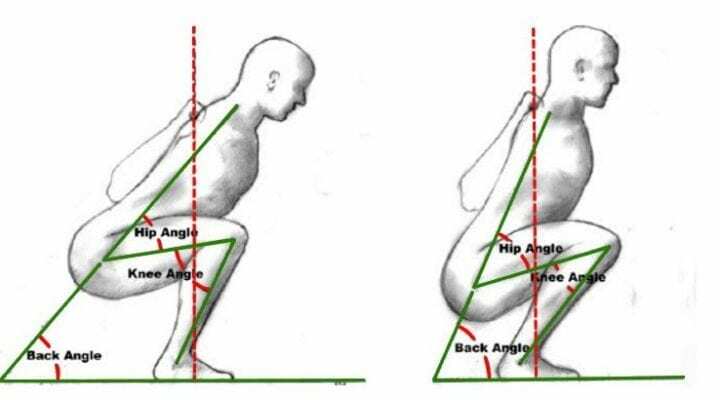 In the first week your body is in a NO loading phase but immediately you should be experiencing greater pumps. With the best nitric oxide supplements the effects will only get better and better with time. The best N.O. products are shown to directly improve the size and intensity of your muscle pump so if you are looking to get that extra boost in the gym here are some ingredients that will help boost your levels quickly. Look at combining these ingredients for optimal growth in nitric oxide levels. L-Arginine – The godfather of Nitric Oxide boosters. You’ve probably heard of this amino acid before as it has a number of benefits for bodybuilders. Found mainly in nuts, fruits meats and dairy, L-Arginine has been shown to directly correlate with higher levels of nitric oxide in the body. We recommend a dosage of around 3-5 grams in order to achieve a noticeable benefit. L-Arginine Alpha-Ketoglutarate (AAKG) – This particular L-Arginine compound can help oxidize HMB in the body. HMB is a supplement that helps build lean muscle mass. L-Citrulline – Is another non-essential amino acid that helps with liver detoxification of ammonia. Which in turn helps support L-Arginine produce more Nitric Oxide. Recommended dose would be about 100-500mg of this one. Eurycoma Longfolia – Although not exactly a N.O. booster but more of a testosterone booster. This Malaysian traditional tonic is used to improve energy, strength, mood and libido. It has earned itself the nickname “Malaysian ginseng” as a result of its renowned energy benefits. It does this primarily by boosting testosterone levels to higher levels which aids your body’s nitric oxide production. Taking this ingredient is a very effective way to improve your performance in the gym. After way too much time spent on research, reading studies and looking for nitric oxide reviews on the web. We have finally completed our list of the best nitric oxide supplements that are available on the market now. These supplements are all designed to help you get bigger, more vascularity and crazy muscle pumps. With thousands of happy customers who have achieved amazing results through NO2 Max. We had to check it out. It uses our favorite ingredients in super generous amounts, so you can instantly understand why their formula is so super popular amongst bodybuilders. Their customers can’t get enough of the product. Their athlete actually thinks it’s his favorite product out of the whole CrazyBulk line. Premium priced. But you do get what you pay for in terms of amazing pumps and quality ingredients. Besides you can always go for their Buy 2 Get 1 Free deal and save a lot of money. Only available through their official website. You can’t walk into a supplement store to buy it. NO2 Max is hands down the best nitric oxide supplement on the market at the moment. It uses high quality ingredients to deliver amazing pumps and more gains from your workouts. The internet was full of good Nitrocut reviews and after putting it under the microscope, we now understand why. See their full ingredients list on their official website here. The company has focused all its energy on just one product giving them time to do more research and as a bonus they’ve included our favorite strength boosting ingredients: Eurycoma Longfolia, Fenugreek and Tribulus Terrestris as well. When combined this makes a very powerful formula, which will help you build more lean muscle, get bigger pumps and get more shredded. This product helped us get the best pump of our lifetime. Premium priced. It’s a bit more expensive than most Nitric Oxide boosters but we think there’s a good reason for. You do get what you pay for. They’ve cut out the retailer which means you can only buy it from their official website. Keeping in mind that they include all the best ingredients a nitric oxide booster should contain, it is definitely the #2 product on the market right now for increasing blood flow and enhancing lean muscle mass. After all being one of the best nitric oxide supplements is pretty good. But no quite the #1 though. Premium priced but you do get what you pay for and they’re actually running a promo at the moment. Buy 4 get 2 free (and buy 2 get 1 free), and on top of that we found a limited time coupon for $10 off (Code: FITNESS ). So since every bottle is a full month’s supply it really isn’t that expensive after all. Made by supplement giant Cellucor, NO3 Chrome made it to our 2nd place. Contains good amounts of L-Arginine and is stimulant and creatine free. What separates NO3 Chrome from it’s competitors is that it actually uses pycnogenol in its blend to act as a strong anti oxidant. Gives great pumps the first days but after that it loses its potency. It contains some of our favorite ingredients like Arginine. Good value for your money if you’re looking to boost your levels for few days. Can be bought in most supplement stores, like GNC and Bodybuilding.com for example. The well known Nitrix was recently updated to 2.0. The update helps make it as our 3rd best nitric oxide product. BSN is a well established supplement company and for that they can be trusted to make good products. Some reviewers have reported that it made their belly swoll out somewhat like a distended gut. You have to take 9 pills daily. Obviously a good product since it beat hundreds of other product to make it to our top 3 list. Contains some of the essential ingredients but many reviewers didn’t think it made that much of a difference. So now we have covered the best nitric oxide supplements on the market. 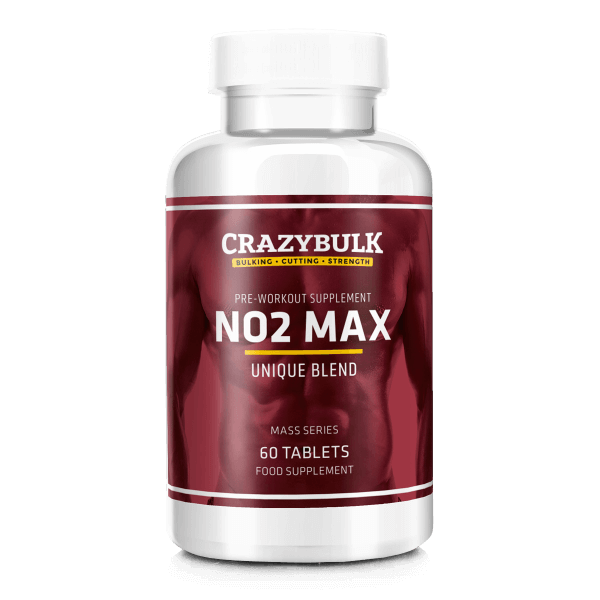 If you are looking to get better muscle pumps and speed up your muscle recovery we recommend trying out NO2 Max. We chose it the best nitric oxide supplement on the market. It contains many of the best ingredients along with a bunch more that are proven to boost nitric oxide levels. NO2 Max combines them all so you get to take them all in one shot and benefit from the synergies of having them work together. It’s definitely a premium product, but with so much crap out there on the market why would you settle for anything less? If spending a bit more money will help guarantee you optimal results then to us the decision seems obvious – stop settling for mediocre pumps and start looking at bringing your NO levels up – your biceps will thank you later! The effect of nitric-oxide-related supplements on human performance.